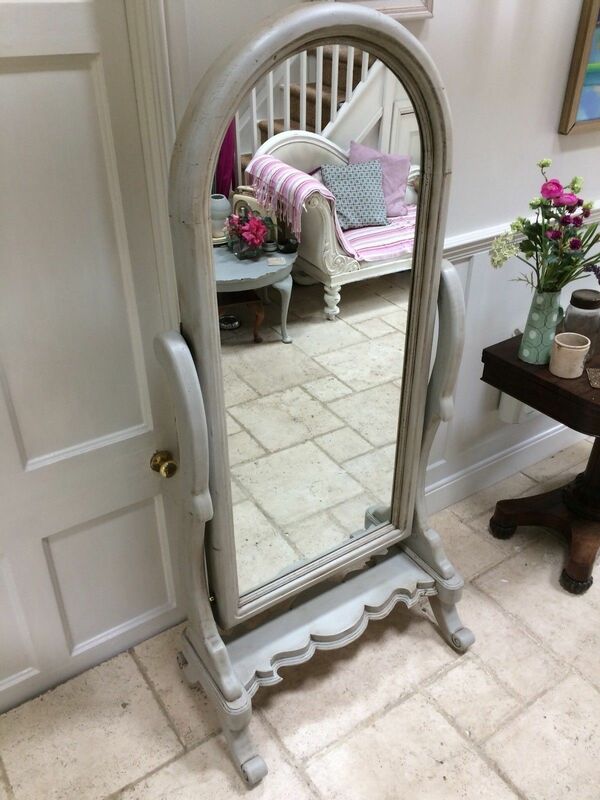 Full Length Freestanding Painted Grey Cheval Mirror. 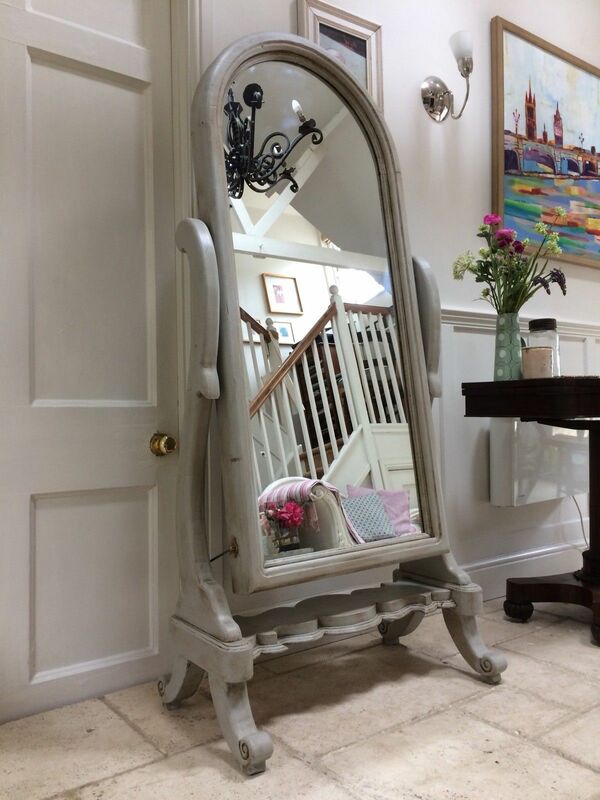 Charming Antique style reproduction mirror, made from reclaimed pine. Rustic wood finish which works well with the dark wax finish giving a lovely aged look. 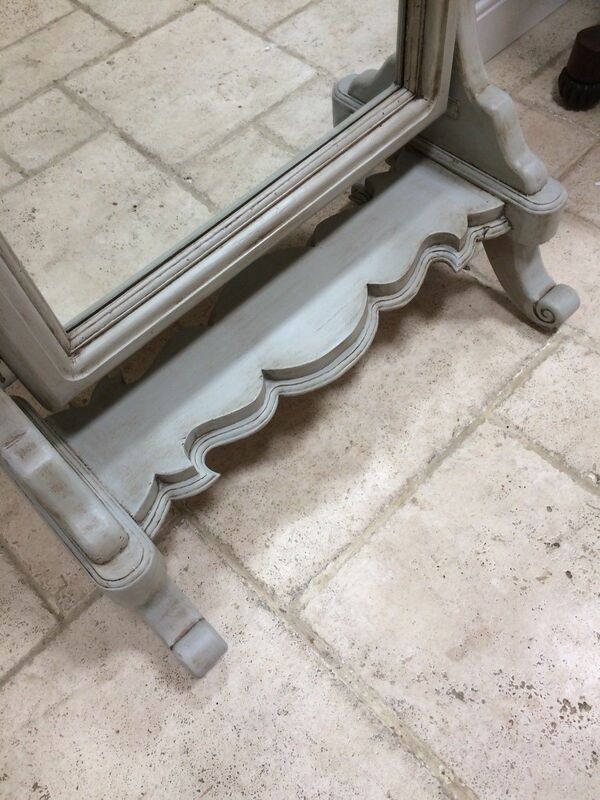 It has been painted in in Annie Sloan Paris Grey and waxed with a dark wax finish. In very good used condition, Mirror has no foxing. 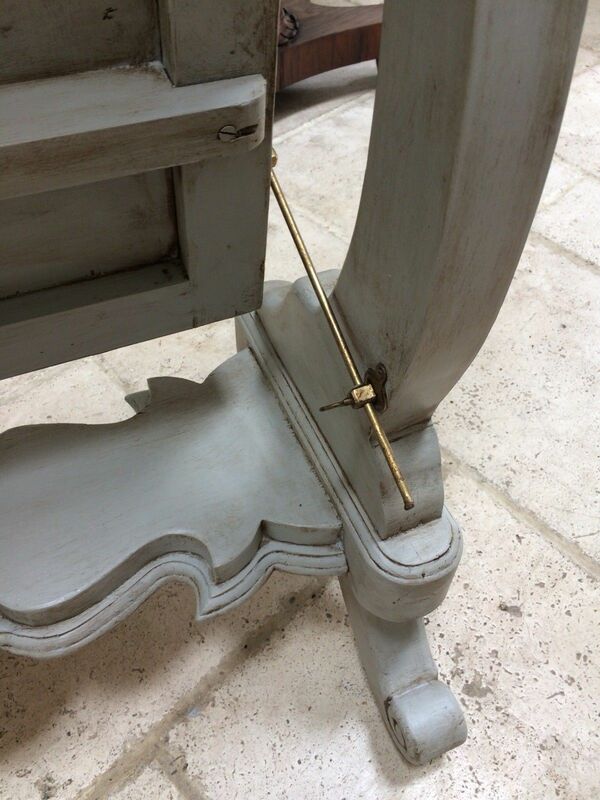 Useful adjustable rod so you can set the angle of the mirror and it will stay fixed in that position. Mirror can be removed from the base for transportation. 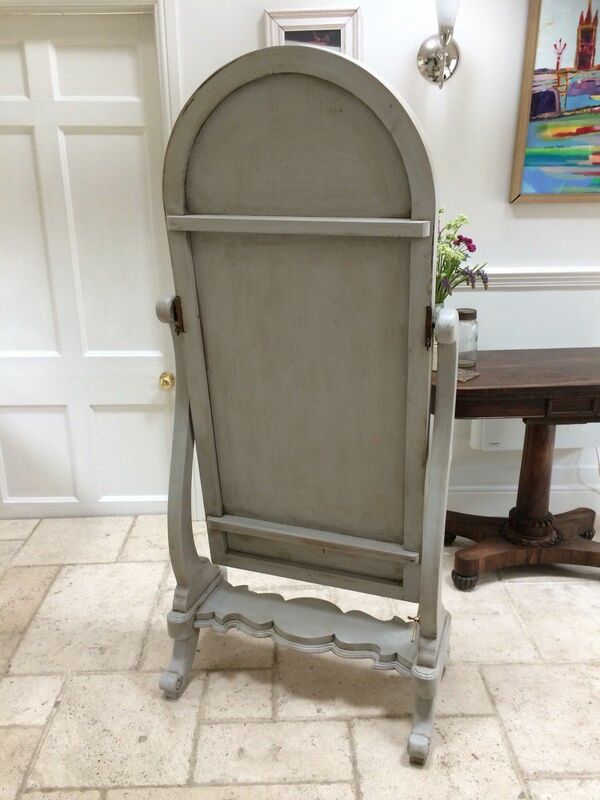 This would make an impressive statement piece in any room.